Since the end of last year I've noticed this flyer by the J train strop at Marcy and Broadway. The flyer got my attention because it reminded me of those flyers that I would see after 9/11. 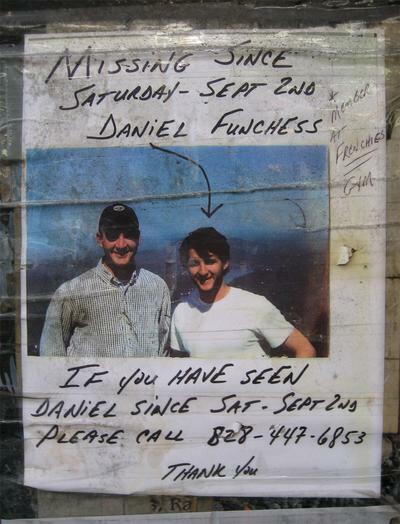 It's also sort of haunting that it's still up several months later, so i did a Google on "Daniel Funchess" and couldn't find any further information on this flyer. This page contains a single entry from the blog posted on January 31, 2007 12:38 PM. The previous post in this blog was Jesus on Grand Street. The next post in this blog is Mission = Williamsburg?.